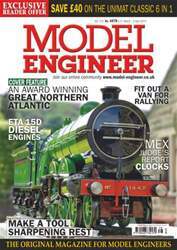 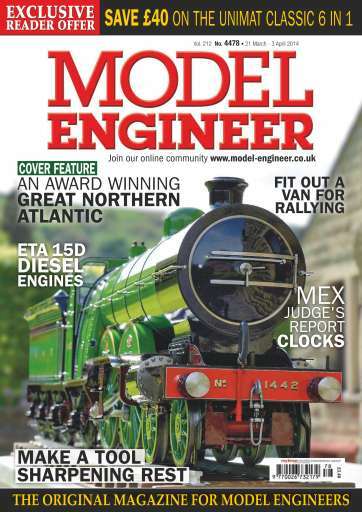 We have a great cover photo of a stunning 5 inch gauge locomotive and inside, John Richardson has written an interesting article about the inspiration that led him to build the loco which won a First Certificate at the 2013 Harrogate Exhibition. 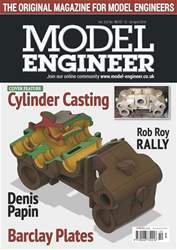 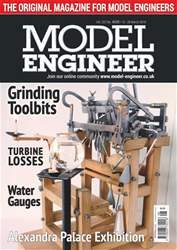 Ramon Wilson continues with the making of his Eta diesel aero engines and Alex du Pre offers more advice to those model engineers who would like to take a more structured approach and increase efficiency. 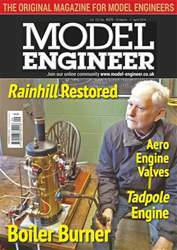 Not everyone will follow this advice – but those who do will benefit without a doubt!